Poverty, both communicable and non-communicable diseases and civil conflict are global health issues facing our world. Differences in the social determinants of health such as access to employment, housing and education opportunities are another key driver of health inequality. Climate change has the potential to amplify and extend these existing health, social and development issues and inequalities. To highlight the importance of investment in health, the World Health Organisation, Australian Medical Association and Australian Medical Association Victoria held the H20 International Health Summit prior to the G20 Leaders economic discussions late last year. Doctors from across the globe discussed health as a wise investment, non-communicable diseases, social determinants of health and climate change. Alice McGushin and I presented what we and our fellow Australian medical students have been doing to address climate change and the important role of health professionals and medical associations in advocating for ambitious emissions reduction targets and a global agreement in the lead up to Paris 2015 COP21 UN climate negotiations. Although largely intuitive, the first goal of our talk was to highlight that to undermine our natural environment is to undermine human health, given that the environment meets our most fundamental health needs – air, water and food and a tolerable climate. Health is a key price to pay (which also has significant economic implications) for the escalating environmental degradation and instability as a result of continued fossil fuel use. Public health relies on a healthy environment to not just thrive, but survive. As current or future health professionals, advocating for the policies and actions required to address climate change is our responsibility, as well as a privilege. Our world is currently at a crossroad; a defining time in history. The policies and choices made now in regards to climate change will shape the stability and sustainability of the world, and quality of life, for generations to come. 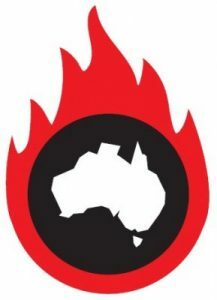 In Australia, medical students involved in Doctors For The Environment Australia and the Australian Medical Students Association have been involved in educating fellow medical students, health professionals and the general public in climate science, health impacts and solutions through talks, radio interviews and articles in various medical and media publications. The aim is empowering informed, evidence-based action. Medical students also convene the annual Doctors For The Environment Australia conference on climate change and health. The political advocacy focus for Australian medical students last year has been framing renewable energy and climate change legislation as vital public health policies. To facilitate this progress – transitioning from fossil fuels to renewable energy – students have been involved in advocating for fossil fuel divestment and re-investment in health and clean energy solutions. The message is that it is unjustifiable for our money, through our banks and superannuation, to be funding the fossil fuel industry because of the harm to human health. Like tobacco and asbestos, the research about the threat to health is now irrefutable. Fossil fuels endanger our health through air pollution, carcinogenic particulate matter and through driving climate changes that threaten food and water security, propagation of infectious diseases, ecosystem collapse and loss of biodiversity, mass migration and civil unrest from resource scarcity, increased intensity and frequency of destructive extreme weather events and rising sea levels posing an existential threat to low-lying nations. Addressing climate change now is about harm minimisation. The cost, both human and economic, will continue to rise the later we address this pervasive, global issue. Health professionals can play an integral role in leading the vital transition to clean energy to the benefit of health, wellbeing and security on a global scale. Grace Davies is the National Student Representative of Doctors For The Environment Australia. She is a final year Medical Student at Monash University. Grace is working as a Research Assistant for a WHO project looking at the health impacts of extreme weather events in Cambodia. 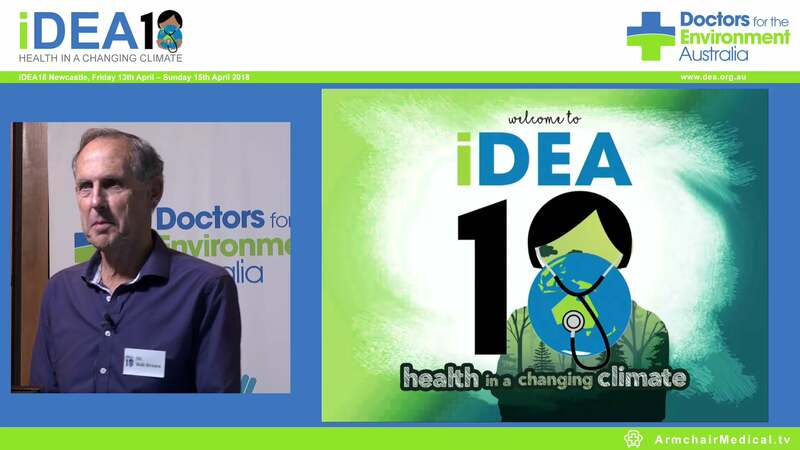 She was selected as a keynote speaker for the H20 International Health Summit 2014 to discuss what medical students in Australia have been doing to address climate change.